Hello, Dear Ones! I’m not going to say much because my video says it all. 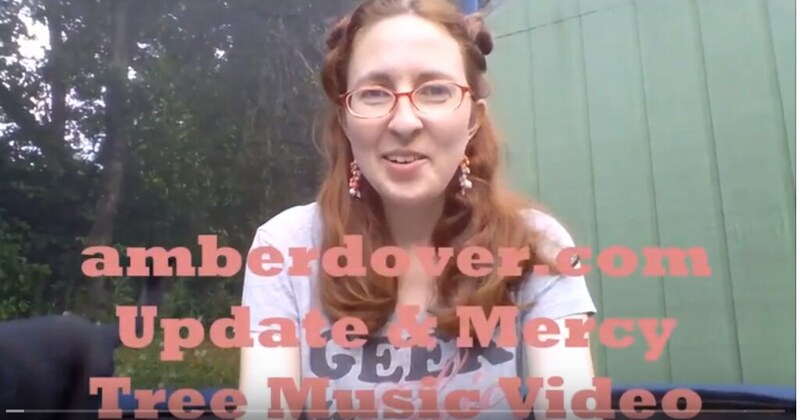 It is a life and blog update along with a music video I put together over Easter of the song Mercy Tree. I’m including links to some things I reference in the video, at the end of this post. This is the website I refer to. I scored nearly 100 percent in each area and no lower than 85 percent in an area. It was like this woman could see into my brain. It opened my eyes to things but I was actually diagnosed by a professional who specializes in Aspergers/Autism. My diagnosis isn’t on paper because I would’ve had to pay for my therapist to do that and plus we both agreed that I don’t need it on paper. I have no plans to get on disability or to use Aspergers to get help in college. There are many people who need all of that but personally, I really don’t want anyone to treat me different because I’m an Aspie. I am still Amber and Aspergers is just one part of who I am. Maybe if my lifestyle was different I would pay the money for my therapist to make it official…I might have even spent the 8 hours to have thorough testing in several areas (like my IQ). I just have no desire to go that deep. Learning coping skills and getting to my own normal is all I want. My therapist has helped me a lot in this area. Below is a really good video that shows what Leeland deals with and explains what I mean by Sensory Processing Disorder. I also have sensory issues in many areas. Leeland had his first occupational therapy today and it went well. I learned how to use a therapy brush for his sensory “diet”. It’ll be neat to share what we learn with you all. He still has to be evaluated for speech therapy. I will keep y’all posted as I can.